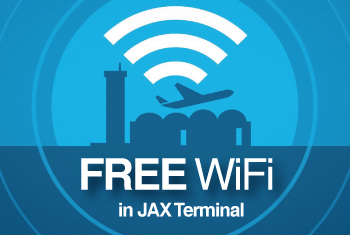 At Jacksonville International Airport (JAX), all ground transportation services -- including rental car agencies, taxi and limousine services - are located on the lower level of the terminal building adjacent to baggage claim. To return an on-airport rental car, drive directly into the ground floor of the parking garage, which is adjacent to the terminal building. For Ground Transportation assistance upon arrival at JAX, please go directly to our Taxi, Limousine and Shared-Ride Booths located on the Lower Level outside Baggage Claim. No reservations are required for arriving passengers. Safety Advisory: Ignore offers of ground transportation from solicitors inside the terminal building. While these solicitors may look official, they are not authorized to solicit passengers. Passengers may elect to use ground transportation providers who are authorized to operate at the Airport on apre-arranged basis only. All authorized Pre-Arranged Transportation Providers must pick up passengers in our Ground Transportation Area. Passenger Pick-up in the Hourly Garage or on the public curb is prohibited. Check with your hotel to see if shuttle service is provided to/from the terminal. 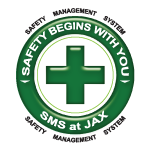 Lyft, Inc. and Rasier-DC, LLC (Uber) are authorized to provide pick-up services at JAX. Passengers can make a request once they are located on the terminal curbside. Authorized Transportation Network Companies may drop-off passengers on the Upper Departure Curb only. The airport fee applies to pick-ups only. Signs that state "App-Based Rides Service" are positioned on the Lower Arrival Curb outside Baggage Claim Door 3 and to the right. Always confirm that you are getting in the correct vehicle with the designated driver shown on the app.